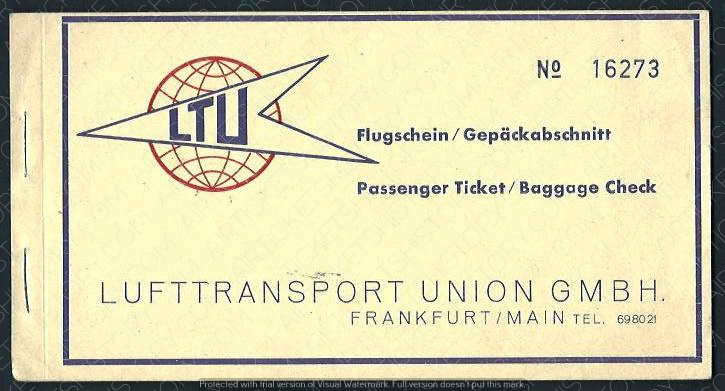 HISTORY: LTU was established in May 1955 as Lufttransport Union and started operations in Frankfurt. It adopted its present name in 1956 when it operated charter flights. 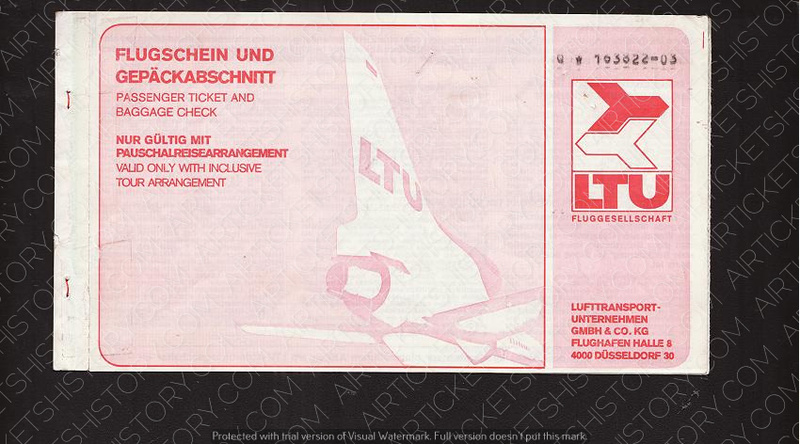 Air Berlin announced in 2008 that the trademark LTU would no longer be used. 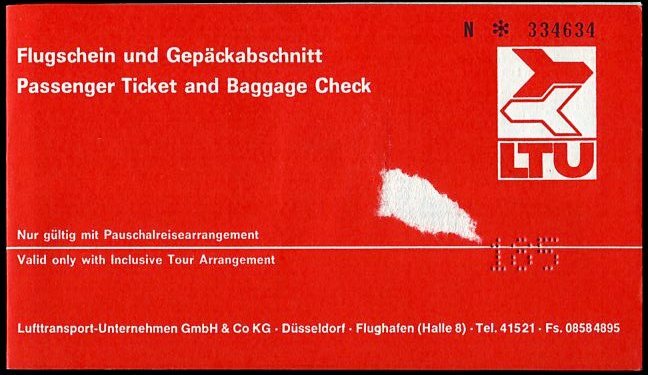 All flights have been branded as Air Berlin since then. The last known flight under LTU callsign but already in Air Berlin livery, was on 13 October 2009 from Montreal to Dusseldorf. 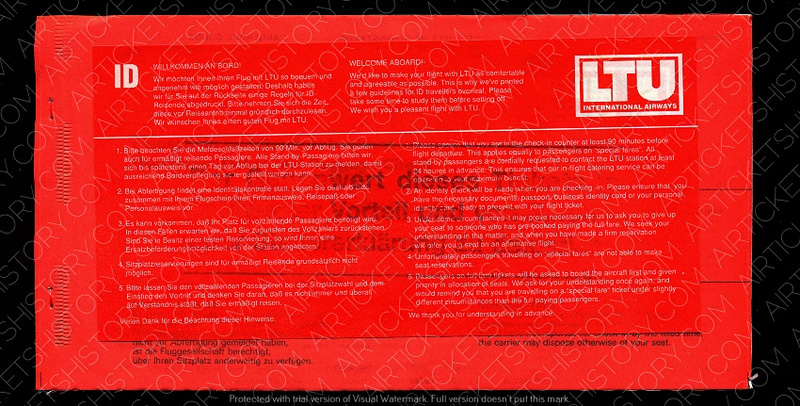 As of April 2011, the AOC of LTU had been expired and the company itself was dissolved.